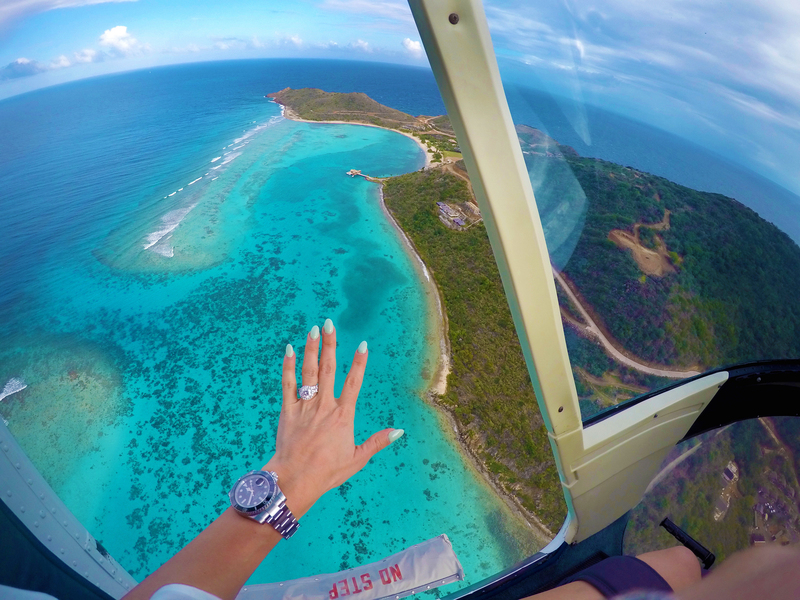 The thought of a “doors off” Virgin Islands helicopter ride sounded like the perfect photography adventure; a unique opportunity that sat right up my alley. As it turned out, my 9-year-old daughter and brother-in-law (they kept their doors on) were keen on the idea too so we set off on our way with Antilles Helicopter Services. I was well-prepared to see some wonderful sites with my camera and GoPro in either hand. What I didn’t prepare myself for was being introduced to my newly discovered fear of heights at 13,000 feet whilst my dress and left arm hung partially outside of the aircraft; fluttering around in the wind. I was held in only by my flimsy seat belt and could not help but ask myself why I had chosen to do this with no door. I also second-guessed how well I had buckled myself in and even wondered how well the very seat I was sitting in was fastened to the base of the helicopter. Turning sideways on those sharp turns had my stomach churning in circles and then plummeting into my feet. I could’ve just booked the flight with the door on, but I guess I had to push my limits. Doing things that scare me make me feel more alive. Ok, so I didn’t fall out, my seatbelt stayed on just fine, and my chair was well-fastened to the aircraft. Luckily, I was able to push my fears aside and replace them with exhilaration. I became mesmerized by the many different hues of the ocean intertwined within one another, all defined by the reefs, the rocks, the depth, and the sand. So unencumbered by tourists, so untouched. Or at least that’s how it appeared from where I was. Pastel colored houses crept over hillsides and surfers speckled the water like colorful sprinkles on a cupcake. 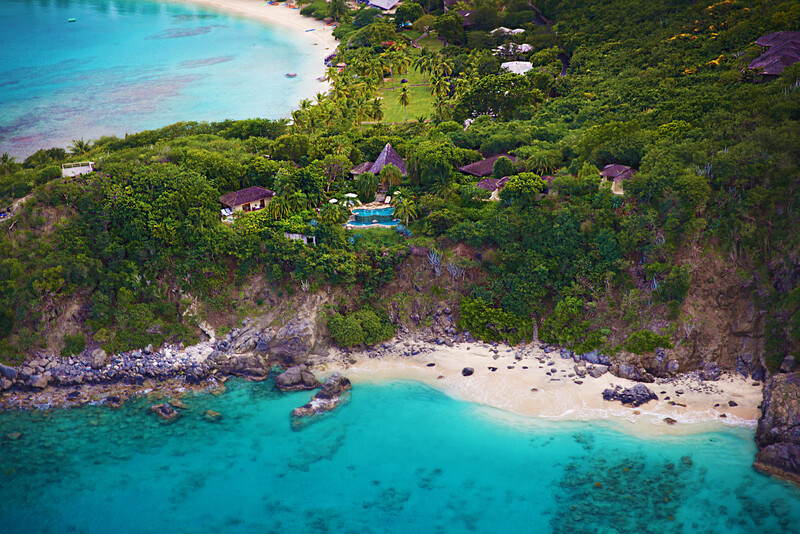 And ooooh the villas. 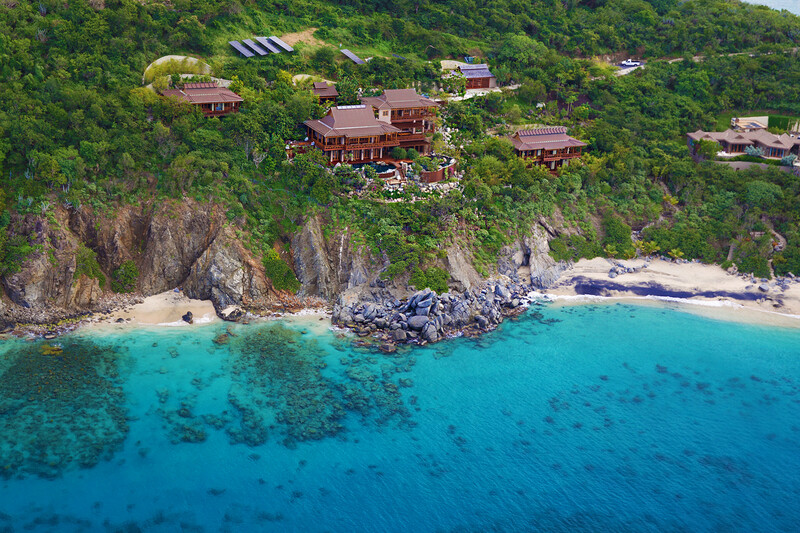 The massive, utopian, island-style dreamlands, perched in just the right spot to yield views from every room. 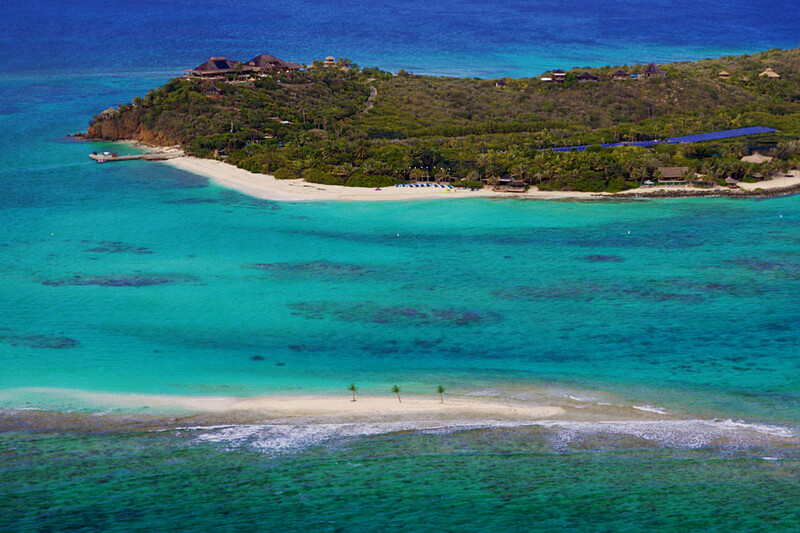 Gigantic infinity pools built over cliffs that delve straight down into the Caribbean Sea; and Sir Richard Branson’s oh-so-exclusive Necker Island staring back at me in all its beautiful glory. So was it worth it? Heck yes! I’d do it again in a heartbeat. 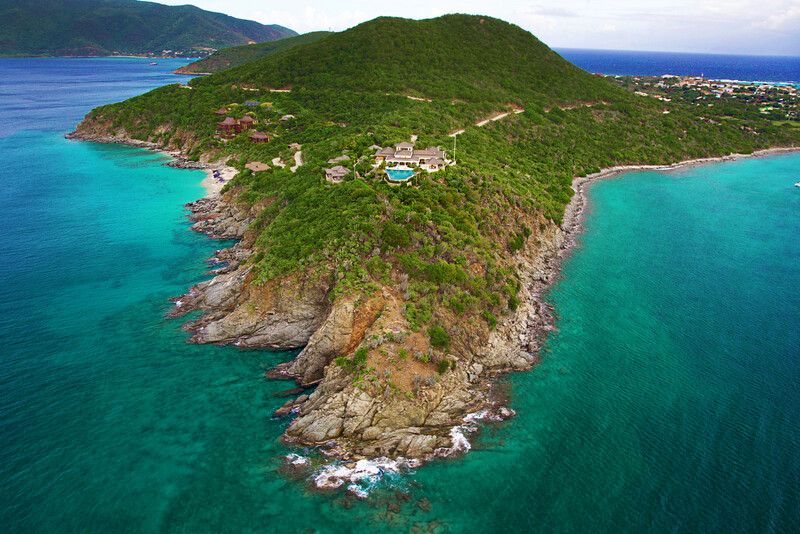 I might add that my 9 year old daughter wasn’t frightened at all and enjoyed every moment of our Virgin Islands helicopter adventure with Antilles Helicopter services. 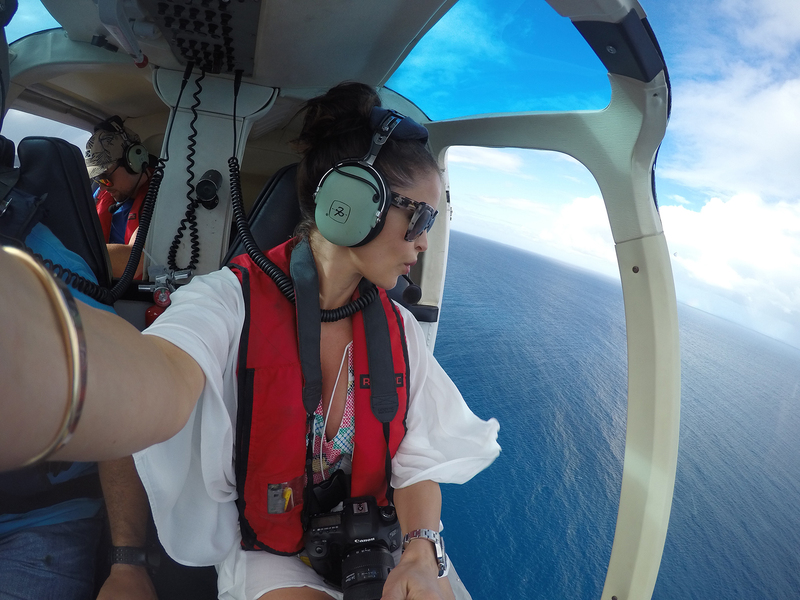 Disclaimer: Between my fear of falling and the movement of the helicopter, my video footage came out pretty shaky. 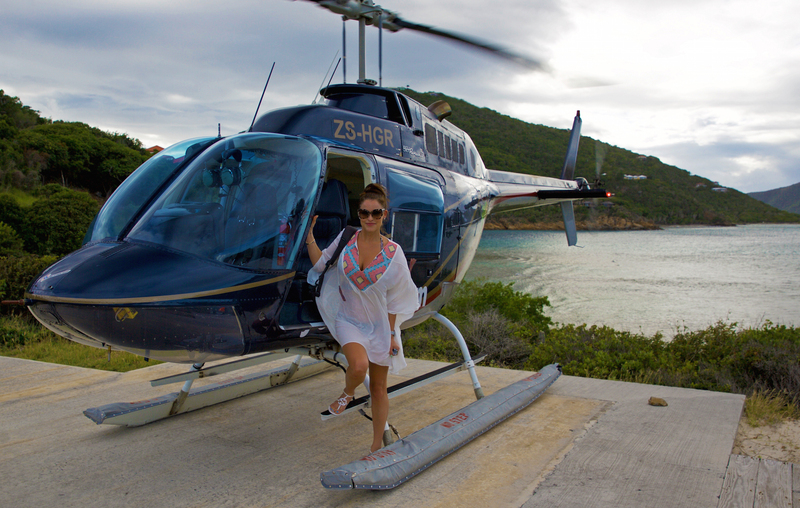 Thank you for taking us on this breathtaking heli-ride with you! Just beautiful! I have only been on one helicopter ride – from London out to the Polo fields in the English Countryside – and I loved it! 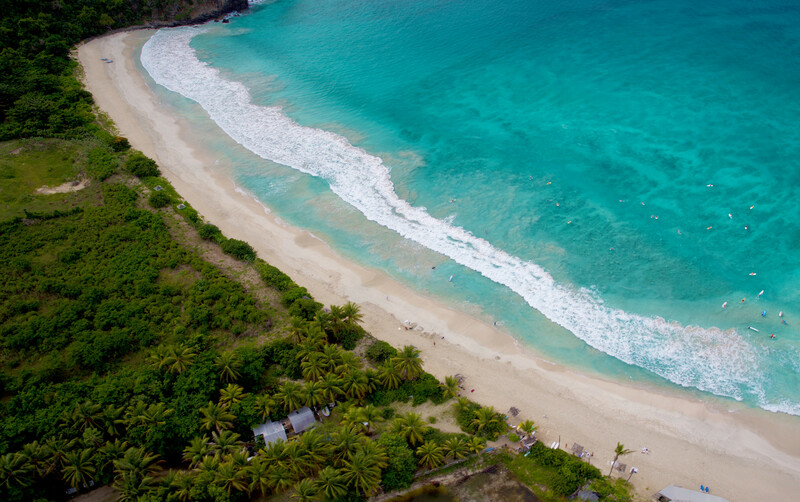 Seeing this photo of you flying over gorgeous beaches makes me want to take another helicopter ride so bad, but this time near the beach. Your photos are stunning! What’s up to every , since I am genuinely keen of reading this weblog’s post to be updated regularly.